Welcome and thank you for your interest in Phibrows Microblading Education with PhiAcademy New Zealand. Amanda and Michaella, Co Directors of Skin Revision and PhiAcademy NZ, draw upon over 30 years of experience and education in all aspects of beauty therapy. Their passion for knowledge in this dynamic, ever-changing skincare/beauty industry ensures that they stay informed with the latest technologies and skincare.  An advocate for safe practices and high professionalism, Michaella and Amanda work with both industry leaders and governing bodies to achieve a unified approach to reaching excellence within our industry.New Zealand, Northland Representatives of the Beauty NZ Professionals Association, ensures that they are informed about the latest legislations, standards. health and hygiene requirements. 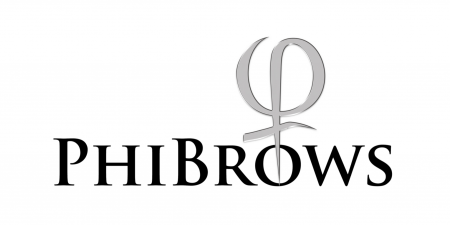 The PhiBrows education is the first step in becoming a competent microblading artist. The Academy provides an opportunity for advancement to all the students who have opted for a professional approach to the technique with Royal Artist and Master titles. Also available are post-graduate educations such as Perfection, Manual Shading & Bold Brows, all available in New Zealand. The theoretical part of this course focuses on the skin anatomy and its problems, post-treatment care, pigments, shape, symmetry. The practical lessons includes practice on skin simulation on day one and practice on a live model on day two. When performing the treatment on live models you will be filling in the strokes placed by our Master Educator, so that there is no possibility to make mistakes. The aim of this practice is to enable students work on real skin and to get the feeling for the right pressure and depth. The topic of hygiene is the most important one and it is presented through a sequence of preventive steps that need to be taken in order to avoid possible complications. In addition to the workshop, you are supported for the next 6 months through CraftMaster. CraftMaster is an app for iOS and Android smart phones written specifically for PhiAcademy students. With many hours of video material, lectures and practical assessments, you will be competent in Microblading before you begin to treat clients. This application also provides constant technical support, as well as the support of the Academy’s official doctor Vladimir Zec. After completion of the workshop, you will work your way through 12 learning levels on CraftMaster with your PhiBrows Master guiding you along the way. 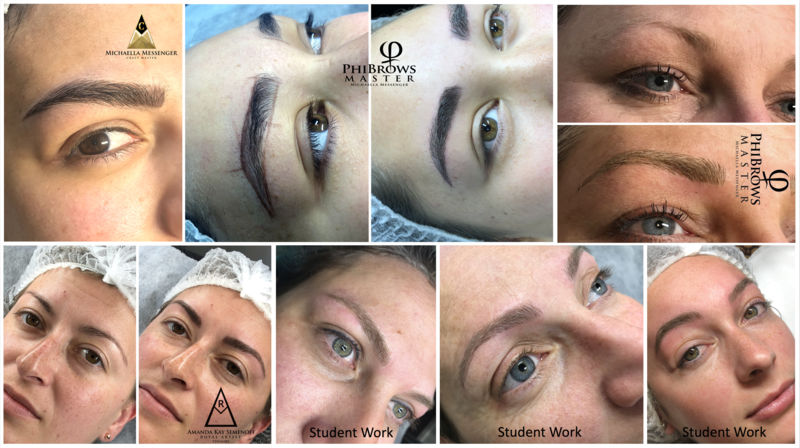 Upon successful completion of those levels you are graduated to a PhiBrows Microblading Artist and receive a globally recognised Certificate, unique logo and endorsed on the PhiBrows World Map.